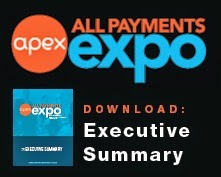 All Payments Expo Blog: What Happens to a Cashless Society During an Event Like Hurricane Sandy? What Happens to a Cashless Society During an Event Like Hurricane Sandy? I was lucky enough to weather the superstorm that hit the East Coast last week, safely in my home with both heat and power but as friends and family came to by to take refuge with us, I started pondering the repercussions of Hurricane Sandy that were less immediate. Friends who came by told us of the one wrinkled dollar bill that they managed to find to buy and share a cup of coffee from a couple selling coffee outside of their Indian Restaurant near Hoboken, NJ, one of the more harder hit areas. My brother texted me as he searched frantically for a gas station that still had gas to sell in lower Manhattan. He had cash but no place to spend it. We were lucky enough to have a local Pathmark open near us but all of their refrigerated units were covered with tarp so we couldn't purchase any dairy, frozen goods, and even the fresh fruits and produce were no longer viable. At least they were still accepting credit cards and plastic, right? Those who had cash on hand were lucky -- when the power went out, so did the option to use other forms of payments. In fact, one report told of low income New York residents who had to survive the storm without teh ability to buy food with their Electronic Benefit Cards (EBT). Is the grid, is connectivity, the cloud, something we've taken for granted when reflecting on the future of money and alternative payments? 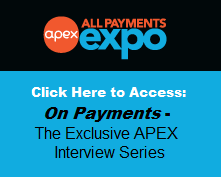 What happens to a cashless society, where all payments are digital, when the power goes out? There seems to be a dichotomy emerging between a future that seems bright with rapid technological innovation and a society overwhelmingly fascinated with the end of the world, i.e., fictional apocalypses, crises, and doomsday scenarios. But when fear becomes a plaything, what happens when the unthinkable becomes real. Valerie M. Russo, Social Innovation Lead, Senior Strategist at IIR USA, has a background in technology, anthropology, marketing and publishing. Russo has worked in a variety of digital media roles at Hachette Book Group, Aol, and Thomson Reuters. She is a published poet and maintains a literary blog. She may be reached at vrusso@iirusa.com. Follow her @Literanista. Our thoughts go out to all of those affected by the storm.